The club competition on New Year’s Day was won by Mick Gallagher Jnr 7 with 35 pts, runner up was Shane Doherty 20 with 34 pts. The OPEN four ball better ball on Saturday the 31st of December was won by Mick Gallagher and Mick Gallagher Jnr with 36 pts. Runners up were John Boyce & Kieran Gallagher with 35 pts. Third place was Louis Boyce & Pete McBride Snr with 34 pts bot. The 2’s club were shared between Martin Herraghty, Charlie McBride, Michael McBride & John Casey. The next Gaeltacht outing will take place at home on Saturday January 14 against Falcarragh GC. 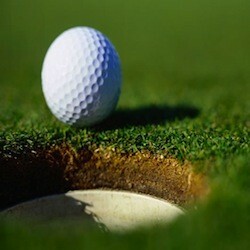 The 2012 Ladies & Gents Captains Drive In will take place on the Sandy Hills Links on Saturday the 11th of February. The following rule is in play on Sandy Hills until further notice: If your golf ball lands on the fairway you must lift it and place it in the semi rough on either side. A ball in the semi-rough or rough must be played as it lies. Only a putter may be used on the fairway. All of the clearly marked areas on holes 1, 8, 9 and 13 that are currently under construction are ground under repair. There will be a closed club competition on Sun 8th, Sun 15, Sun 22nd and Sun the 29th of Jan. All closed club competitions on both links at Rosapenna are played from the Blue Markers unless cleary stated otherwise.